Does this signal a prolonged absence for K.D.? Things changed dramatically between the hours of 7 p.m. ET Tuesday and 1 a.m. ET Wednesday for the Golden State Warriors. Going into the night, the Warriors had planned to sign veteran guard Jose Calderon to add to their stacked roster in preparation of their playoff run. Then came Kevin Durant’s leg injury, initially being described as a hyperextension, with MRI results pending for Wednesday. 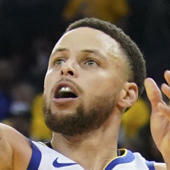 There has yet to be an indication of those results, but the team has telegraphed something foreboding on Tuesday night. The plan to sign Calderon has been scrapped, in favor of signing veteran forward Matt Barnes. ESPN sources tell @ChrisBHaynes and me that Golden State plans to sign veteran swingman Matt Barnes in the wake of the Kevin Durant injury. Barnes, of course, played with the Warriors on their magical 2007 “We Believe” team that upset the top-seeded Mavericks in the first round. Recently, the Kings waived him following the trade of DeMarcus Cousins to the Pelicans. The bigger significance is obviously what this means for Durant’s status. The speculation, based off a reasonable series of clues, is that Durant’s injury is more significant than originally thought, and the Warriors were forced to move quickly in light of what will be an extended absence for Durant. However, that is just that -- speculation -- and Durant’s prognosis has not been revealed. Shelburne’s report above that Durant’s injury only “added” seems odd, given that the team was dead set on adding Jose Calderon, the exact opposite player in the NBA universe from Matt Barnes, just hours ago. Final word won’t come until Wednesday morning as to Durant’s status, but the addition of Barnes certainly seems curious. Barnes brings shooting -- though he shot only 32.7 percent from deep with Sacramento this year -- and athleticism, though he is 36. He won’t be relied on for much beyond just adding toughness, shooting open shots, and rebounding, but he’ll contribute. It’s a smart pickup. The question is what prompted it, and that has much wider implications we’ll have to unravel on Wednesday.